Avoid medicinal doses during pregnancy. May cause contact dermatitis and/or photosensitivity. Do not exceed recommended dosage as the seeds are potentially toxic in excessive amounts. The essential oil should never be taken internally. Ingesting even small amounts of undiluted fennel oil can cause nausea, vomiting, and seizures. Those with hepatitis, cirrhosis, or other liver disorders are advised not to take fennel. Fennel is native to the Mediterranean region, but is now cultivated worldwide. It is an aromatic perennial that grows to about five feet in height, having dark green, feathery leaves, umbels of yellow flowers, and small, ridged, oval-shaped seeds, which are gathered in the autumn. The tall stalk looks like celery and is often consumed as vegetables, while the leaves and seeds are used to flavour foods. Although the taste and aroma of fennel are sometimes mistaken for anise or licorice, the plant is actually related to caraway. Fennel is one of the oldest cultivated plants and much valued by the Romans. Warriors took it to keep good health, while their ladies took it to stave off obesity. It was one of the nine sacred herbs of the Anglo-Saxons. In 812 CE, Charlemagne declared it was essential in every garden because of its healing properties. Its Greek name is marathon, meaning “to grow thin.” It was given to the plant because of its reputation for weight loss. In medieval times, the seeds were chewed to stop gastric rumblings during church services. Inhaling herbs was often a means of treating respiratory disorders. The Lacnunga, a 10th century Anglo-Saxon medical text, recommends “Take fennel and hassuck (dried grass or rushes) and cotton and burn all together on the side which the wind is” and, it recommends, that the practitioner “reek” patients with steam. This is similar to the Native American use of the sweat lodge or the modern sauna, where herbs are placed on the hot rocks to be added to the steaming process. Although the root is sometimes used medicinally, it is not as effective as the seeds and used mainly as a vegetable. Fenchone is a pungent gas. Estragole is a phytoestrogen that mildly mimics the female hormone, estrogen, and was once used to produce a synthetic version used in the treatment of bloating, breast tenderness, other PMS symptoms, and cramping. 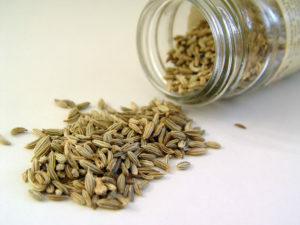 Fennel seed extracts have proven to calm muscle spasms by reducing smooth muscle contractions. Studies indicate that substances in fennel can reduce airway congestion by thinning and loosening phlegm, which tends to support the addition of fennel in numerous European cough remedies. An infusion from the seeds makes a good gargle for sore throats or used as a mild expectorant. A syrup made from an infusion is given for colic and teething pain in babies. An eyewash is used for conjunctivitis. Essential oil is used for digestive and relaxing needs. A decoction from the seeds is used in Chinese medicine to relieve abdominal pains, colic, and stomach chills. Tinctures from the seeds are used for digestive problems. Mouthwash and gargles are made from infusions for gum disorders, loose teeth, laryngitis, and sore throats. Chest rubs are made from the essential oil and combined with eucalyptus and a neutral oil for upper respiratory congestion. Decoctions from the roots are prescribed for such urinary problems as kidney stones or such disorders associated with high uric acid content as gout. 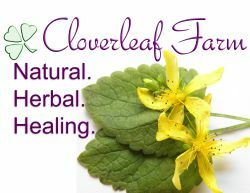 Every part of the plant is edible, but it is mainly the seeds and essential oil that is used medicinally. The primary use for the herb is for digestive upsets and settling stomach pain while stimulating the appetite. The seeds are soothing for the digestive system. It aids in the treatment of kidney stones. When combined with such urinary antiseptics as uva-ursi, it makes an effective treatment for cystitis. It has a long history of use for weight loss and warding off ageing. The seeds also promote milk flow during breastfeeding. When an infusion is taken by nursing mothers, it also helps relieve colic in the baby. In Chinese medicine, the seeds (hui xiang) are thought to be a toner for the spleen and kidneys, and are also used in urinary and reproductive disharmonies. In Mexico, fennel is used to treat digestive disorders, including baby colic, as well as a remedy for menstrual cramps. In Morelos and Oaxaca, fennel tea is used to promote lactation in nursing mothers. German health authorities use fennel to treat mild stomach upsets, indigestion, bloating, gas, and cramps. They also recommend giving fennel seeds to hyperactive children as the seeds appear to have some sedative effects. Used with honey, fennel clears upper respiratory congestion.